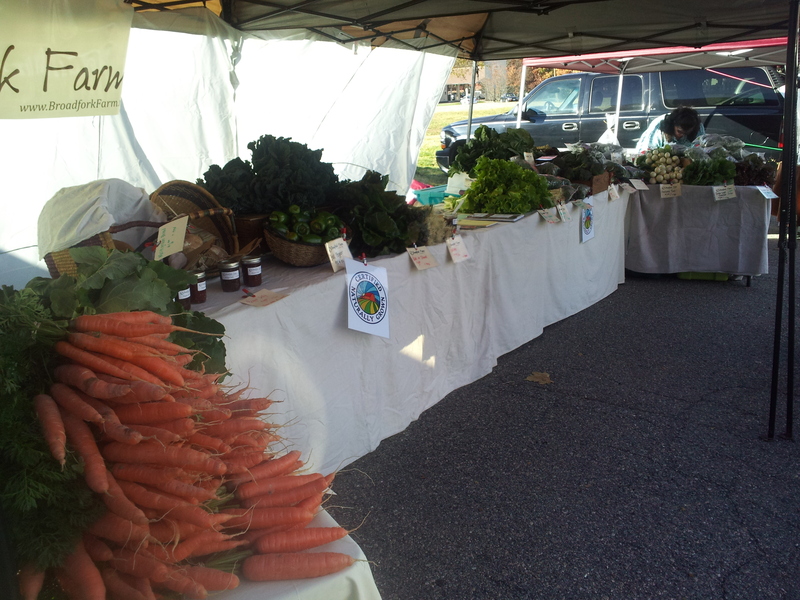 Arugula ($2 or $4 bag), Beets ($4), Bell Peppers (green – 2 for $1), Broccoli Raab (also called Broccoli Rabe – $3), CARROTS! ($4), Mixed Kale ($4 bag), Bunched Greens (Tender Tat [not our idea for the name], Kale, Chard, Senposai/Collards, Hon Tsai Tai, or Tokyo Bekana – bigger than in the past – $4), Bibb Lettuce (green – $2), Red Head Lettuce ($2), Hearty Greens Mix ($3), Parsley ($2), Radishes (Cherry Belle or French Breakfast – $3), Salad Mix ($3), Scallions ($2), Spinach ($4), Turnips (red salad, $3)…and Multigrain Bread ($7). Email us your order at BroadforkFarm@yahoo.com by 9:00 am on TUESDAY and we’ll drop it off on TUESDAY. Please leave payment (cash or check) in the envelope provided at the store. Enjoy getting ready for this week’s celebration of gratitude centered around food. We know we will.